Join us at Novotel Samui Resort Chaweng Beach Kandaburi and get ready for an amazing stay in a beautiful location. Located by the beach, my team and I are looking forward to welcoming you to paradise! 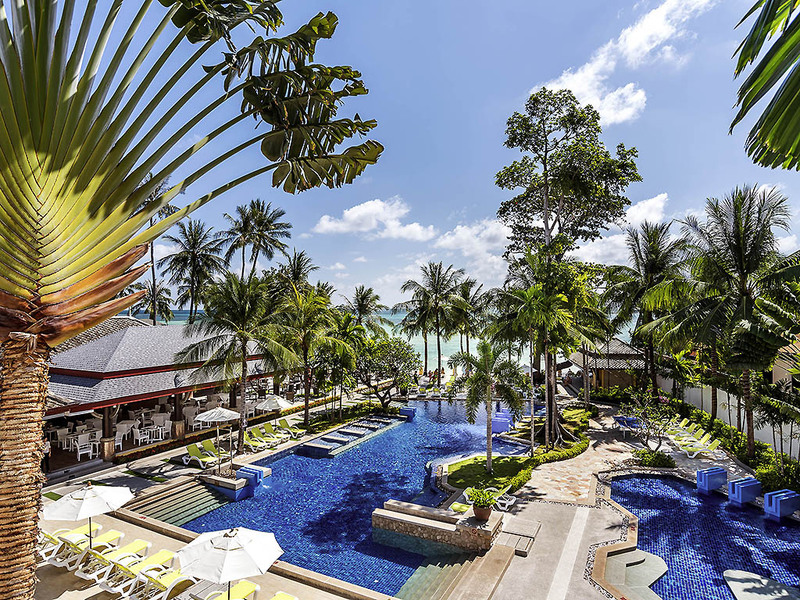 Novotel Samui Resort Chaweng Beach Kandaburi is an elegantly designed Thai-style beach resort located at the northen end of Chaweng Beach, near the hustle and bustle of the entertainment center. The 183-room hotel is split into the Hillside and Beachside zones by a narrow road, with the shallow waters of the bay on its door steps. Novotel Samui Resort Chaweng Beach Kandaburi is part of the exclusive MyResorts program that provides rewarding resort experiences for Le Club AccorHotels members. The bar serves light snacks and breathtaking views of the sea. We had a two bedroom family unit which was excellent. The only food we ate at the hotel was breakfast - and it was a very good buffet. A lot of stairs not just to our room, but from reception to the pool area. So if you have any issue with stairs - not for you. The service was excellent and right on the beach. The beach itself is great but the sea can be stagnant. 100 metres to the left or 500 metres to the right is much cleaner water. Easy 15 minute walk to the main food and shops in Chaweng. Easy to get taxis. The staff were so impressed, the location was great but the room was not. We had a lovely stay at Novotel which is located right on the beach. It is a little far out of town to walk however easy to catch a cab for 200 or 300 baht. The staff were fantastic and the rooms were good. Max from Front Office along with his team made our stay very enjoyable. Thank you for the unforgettable memories. Mai from the Nest restaurant always made our day with her bubbly personality and attention. We really enjoyed our stay, the service was fantastic and location great. Only thing was would have preferred some more privacy with the bathroom area, we sometimes has guests visit our room so this wasn't ideal. The room is large and location is very very great. I enjoyed walking the beach every night of my stay. The staff is very helpful as well. Great large room and service especially Mai. Would have appreciated drink and chair service at beach, had to ask all the time. Beautiful beach with lovely clear water. Friendly staff, delicious breakfast and a variety of bbq dinner. Highly recommended! Good and helpful reception staff, spacious room and bathroom near beach side. Shallow sea water and soft sand. Welcome drink and fruit plate is impressive. One thing to improve is breakfast fruits bowls should be covered. Staff were very helpful and friendly. Spa Centre was wonderful. Great Place to stay central to most things. Very friendly polite staff who make you feel welcome all the time. The resort is in a great location central to most things. Friendly and helpful staff, beautiful room and location was spectacular with the beach right at our fingertips. I was absolutely amazed at the beauty of this resort. Out room was perfect, we had pool access which just made it even more special but I was also really pleased with the size of the room (and bathroom!). Breakfast daily was a wide selection of thai and western foods. Happy hour 3 times a day down by the pool/beach where we lounged about on sunbeds drinking many many delicious cocktails. The staff were so lovely, very friendly and always so helpful. The views were incredible, I enjoyed many sunsets and a few sunrises down by the beach just taking in the stunning location. I was sad to leave the resort and left after 5 nights but I do hope to return and I'll be staying here again. Thankyou to all the staff at Novotel for doing a great job and maintaining such a beautiful resort. We both had a lovely stay at the Novotel and the beach is beautiful. Big rooms, friendly staff, good food, and everywhere kept clean. Would definitely stay again.